Despite the repeated denials of the Liberal Party that it is involved in any plot to overthrow President Rodrigo Duterte, National Security Adviser Hermogenes Esperon said the LP’s involvement has been established. Hermogenes Esperon said the Communist Party of the Philippines (CPP) is behind “Red October,” but there is another group which serves as a front for the LP in the ouster movement. “The LP (Liberal Party) is involved because of Tindig Pilipinas,” the former AFP chief of staff said in an ambush interview at the mass oathtaking of Career Executive Service Officers last Thursday in Malacañang. The LP was reported to be part of the plot to oust the President last 21 September, in connivance with the CPP, but failed to muster enough support. Just recently, the military had confirmed combined efforts by “legitimate opposition groups” and the communists in the ouster plot. 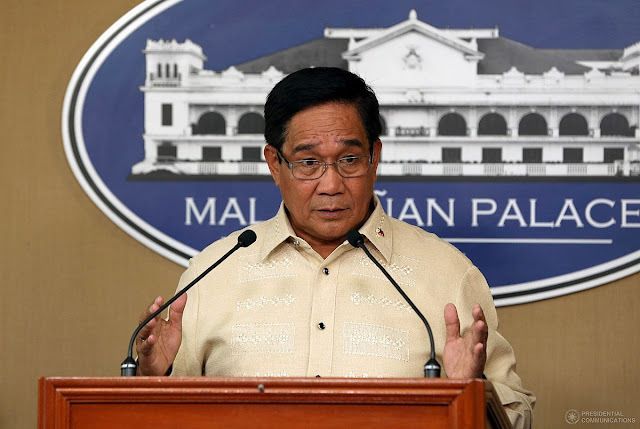 Esperon added with the leftist group aggressively gathering support to unseat the President, the LP “wittingly or unwittingly” placed itself in the middle. “That’s an ouster plan already two years in the making,” Esperon stated. The opposition has on numerous occasions refuted claims made by Duterte that they have colluded with exiled communist leader Jose Maria Sison, CPP and New People’s Army (NPA) to destabilize the government. It was Duterte himself, via a one-on-one interview with Chief Legal Adviser Salvador Panelo a couple of weeks back, who revealed an ouster plot against him being orchestrated by Sison, embattled Sen. Antonio Trillanes IV and the Magdalo Group and the LP. 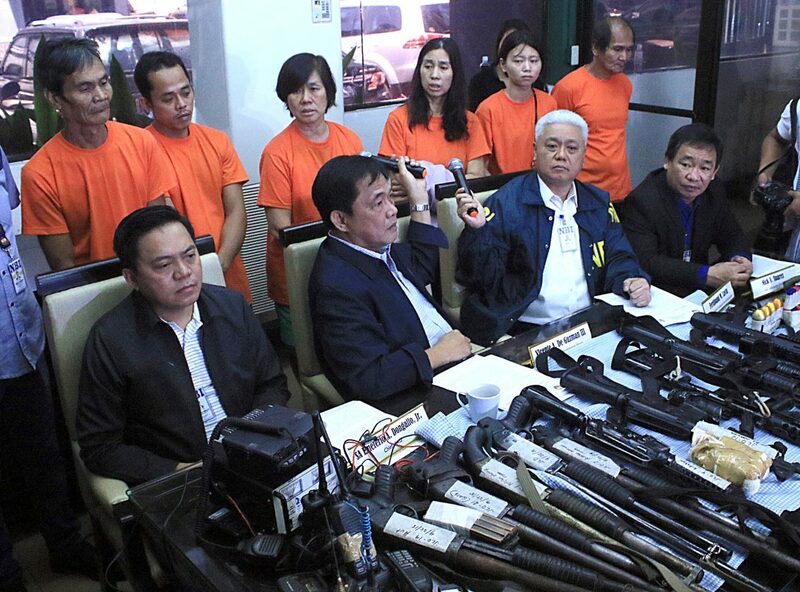 The National Bureau of Investigation (NBI) presented to media six persons, who the military claimed are connected with the “Red October Group,” after they were arrested in Teresa, Rizal for illegal possession of firearms and explosives. 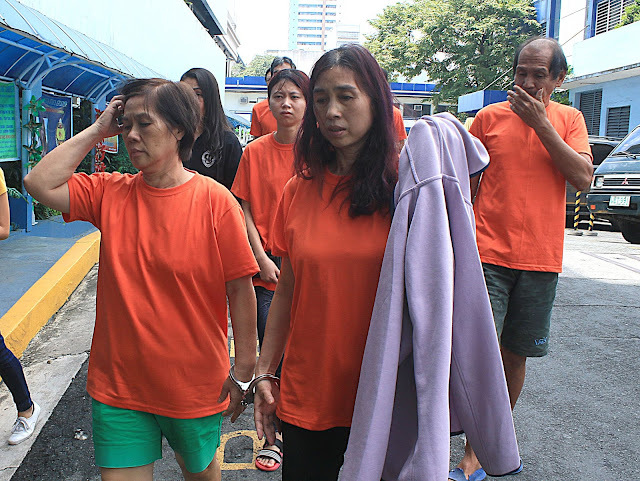 NBI Director Dante Gierran, identified the suspects as Ke Be Li alias Lily Ong, Brandy Solinap, Victor de la Cruz, Bi-Lian Ke, Diosdado Bohol and Ke Quiao Li alias Sam Jany. The raid was conducted by joint elements of the Philippine Army’s 80th Infantry Battalion (80IB) and the NBI at a coral farm in Teresa, Rizal owned by Ong. Brig. Gen. Arnulfo Marcelo Burgos Jr., commander of the 202nd Infantry Brigade which has jurisdiction over the area, said the raiding team seeks to serve arrest warrants which were issued after months of intelligence operations against Armando Lazarte, alias “Pat” and “Romano,” secretary of the NPA’s Sub-Regional Military Area 4A, and Tirso Alcantara alias Bart, the former commander of the NPA Terrorists’ Regional Yunit Guerilla. Lazarte and Alcantara were not in the area when the warrant was served. “The presence of top NPA leaders and the proximity of Teresa town to Manila are indicators that the threat of “Red October” cannot be downplayed and that the plotters are just awaiting for an opportunity to execute their plans,” Burgos said. Lt .Col. Melencio Ragudo, commander of the 80IB, said the raid resulted in the recovery of four M653 (baby armalite) rifles, one M203 Grenade Launcher, five US made 12-gauge shotguns, one caliber .45 pistol, one caliber .38 revolver, one 9mm KG3 machine pistol, six units of two-way radios, two grenades, eight cellphones, enemy documents and numerous war materials as well as weapon system accessories. Justice Secretary Menardo Guevarra confirmed that an investigation on the so-called “Red October” plot is ongoing. Information from the Armed Forces of the Philippines (AFP) alleged that the “Red October” ouster plan against the President remains even if the other supposed plot on 21 September, the 46th anniversary of the declaration of the Marcos-era martial law, did not push through. Mr. Duterte had said the Communist Party of the Philippines (CPP), the political opposition, including the Liberal Party and the Magdalo Group of Sen. Antonio Trillanes IV were plotting to remove him from the presidency. All three groups have denied the President’s accusation. The Chief Executive, meanwhile, reiterated that corruption remains to be the biggest problem his administration is facing. “My efforts are going to waste, nothing is happening. Unless we stop corruption, unless we have law and order against corruption, we will never rise as a country,” Duterte shared at the same event. He said that corruption has also become the reason talks about coup d’etat and destabilization surfaced. “The irony is, I really want to step down. Just give me a very good reason to go,” he said. “But from the start, I made it my policy that I will not meddle in any transaction involving money. It begins and ends with the Cabinet,” the President added. Duterte also reminded the military that there is “no need for us to fight” if they think it is time for him to step down. “Don’t do the melodramatic thing – parading your tanks, talking about a coup – just tell me. We can even have coffee. All you have to do is stand up and tell me that I’m no good and I’ll go,” the Commander-in-Chief said. The 125,000-strong Armed Forces of the Philippines (AFP) also vowed no soldier will, directly or indirectly, get involved in any plot against the Duterte administration. Col. Edgard Arevalo, AFP spokesman, said the military subscribes to the Constitution which it had sworn to uphold and defend as he reiterated the AFP, as protector of the people and the state, adheres to the rule of law. “We will never allow ourselves in the ranks of active service to take direct or indirect participation in any political actions against the present duly constituted authorities,” Arevalo said in a statement. “Every soldier, airman, sailor and marine in the active service is loyal to the Constitution, adherent to the rule of law, and solidly behind of the Chain of Command,” he added. Last Wednesday, President Duterte said the military should not vest loyalty in him but in the Republic as he vowed readiness to step down if the military wanted him removed. The President made the remarks amid continuing reports about an alleged plot to oust him –spearheaded by the CPP in connivance with political opponents of the President. Mr. Duterte also lamented that some troops are in communication with his critics, particularly the LP. The Philippine Army, for its part, stressed that no soldier will be enticed to go against the Duterte administration –citing the high morale of the troops. “The Philippine Army is solid in support of the administration,” said Lt. Col. Louie Villanueva, spokesman for the Army. “The morale of the Philippine Army is very high so our focused is on our mission,” he added. Villanueva stressed that any attempt to recruit Army soldiers against the Duterte administration is doomed to fail. Special Assistant to the President Christopher Lawrence “Bong” Go believes that any plot to destabilize the Duterte administration will never succeed. Go, in a statement, said he believes that the AFP will not be swayed to turn against the President and he is optimistic that the military is still respecting the chain of command. “The AFP knows how the President works and based on the latest surveys, the public still gives its full confidence to our President,” Go said. He also noted that the military has intelligence over these groups who do nothing but to slam the President. Philippine Navy spokesman Cmdr. Jonathan Zata, for his part, echoed Villanueva’s pronouncements, stressing the Navy is busy with training activities with counterpart navies of Brunei and Japan and in the relief operations in Northern Luzon. Galang cited the continuing acquisition of modern platforms by the Air Force. Capt. Jerber Anthony Belonio, spokesman for the Philippine Marine Corps, vowed the PMC is solid behind the Constitution. Military officers also dismissed the need for loyalty check as earlier suggested by Sen. Panfilo Lacson. “I guess there’s no need for that (loyalty check). We already have transformed and professional Army which is mission centric and dedicated to serve and protect the people,” Villanueva said. “We will not waste these status and our sacrifices just for the sake of adventurism by some disgruntled factions,” he added.